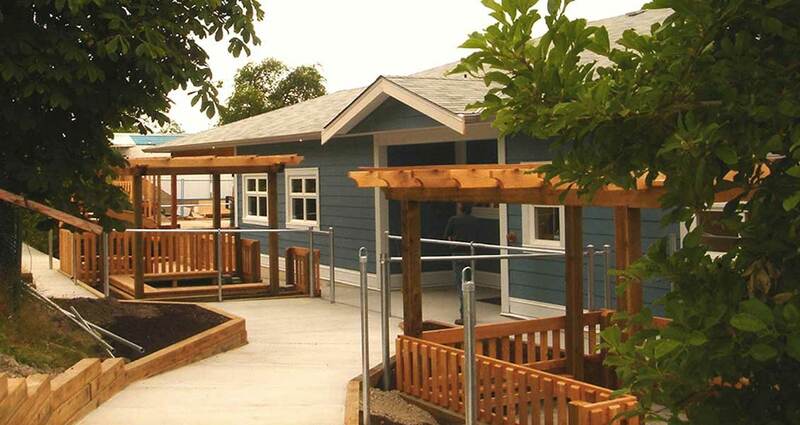 Emma’s Daycare replaced an existing portable building with a permanent factory built modular building, owned and operated by the YWCA on a high school site. Emma’s provides group childcare for 12 infants and 16 toddlers. 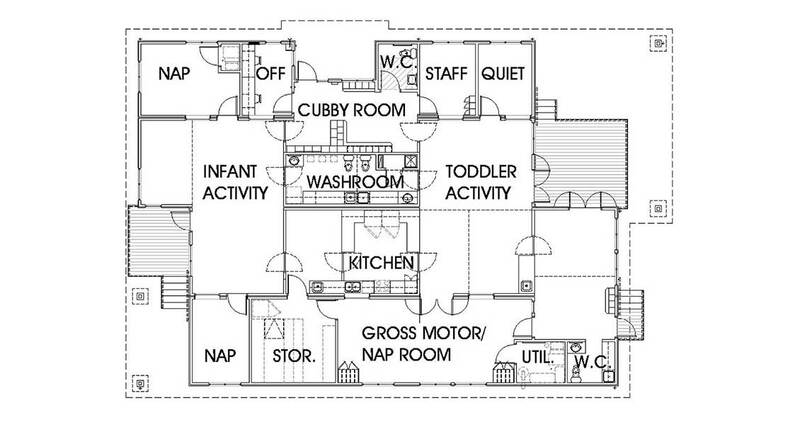 The daycare plan is arranged around common kitchen, cubby, and washroom facilities, which separate the infant and toddler areas into two distinct spaces while maintaining a visual connection at adult height. 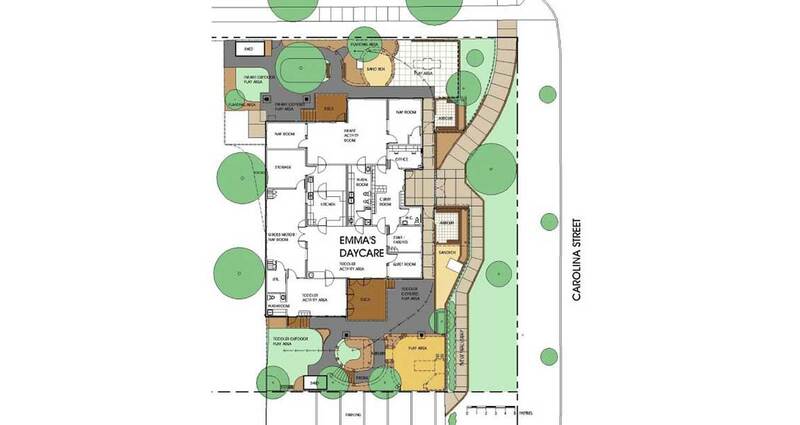 The entirely re-developed site is nestled into a sloping embankment, relating to both the street and an adjacent building housing a school program for young mothers. 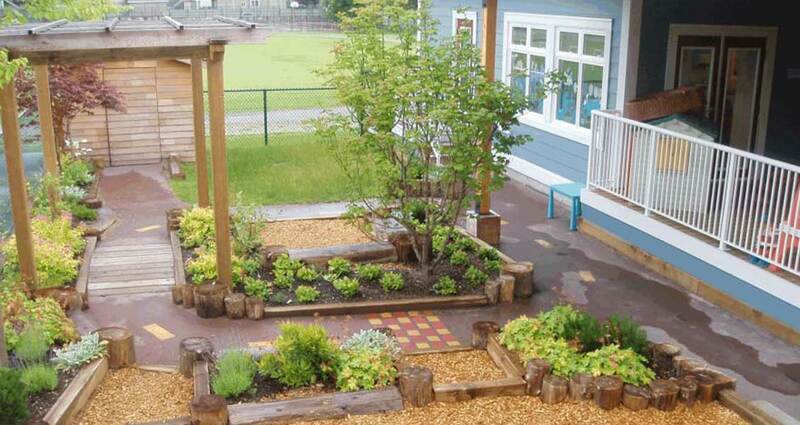 The site is developed with separate infant and toddler outdoor and covered play areas.